Many fighters think the match between Khabib Nurmagomedov and Floyd Mayweather Jr is a joke. There are very few who take it seriously. Yet, Floyd Mayweather Jr is not a man who backs down in front of the challenges. He accepted Khabib’s callout. For proper amount of money, of course! “Khabib better not try to box him. Khabib better not try to box Floyd Mayweather. What is he doing, man?’ Cormier jokingly asked during an appearance on Ariel Helwani’s MMA Show. But Khabib Nurmagomedov at least knocked Conor McGregor down in the second round. On the other side, Mayweather Jr was hitting him until the referee stopped the match. So Khabib might say he has better punch power! Khabib’s UFC career is currently under a big question mark. It looks like his plan to protect Zubaira Tukhugov failed. His Russian brother is replaced by Michael Johnson at UFC Fight Night 138. If Khabib decides to break his contract, he could get tons of money by 50 Cent to sign for Bellator MMA. He could try some other promotions as well. But a possible showdown with Floyd Mayweather Jr would secure his family to the rest of his life. 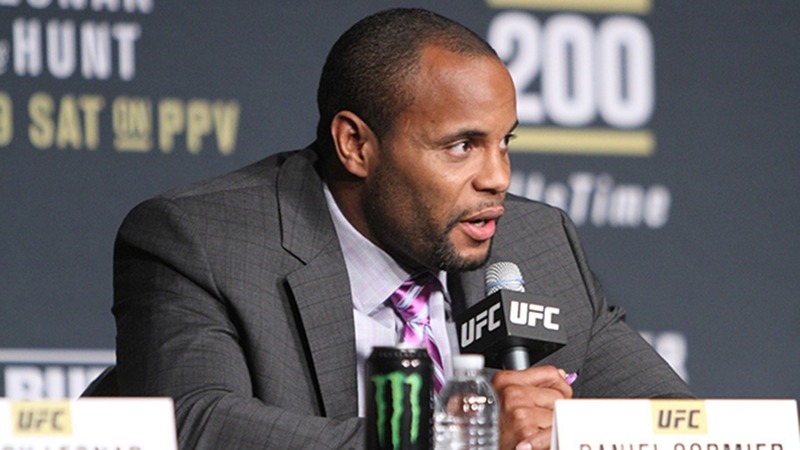 Do you think Daniel Cormier has right? Do you think Khabib can survive twelve rounds versus Floyd Mayweather Jr?